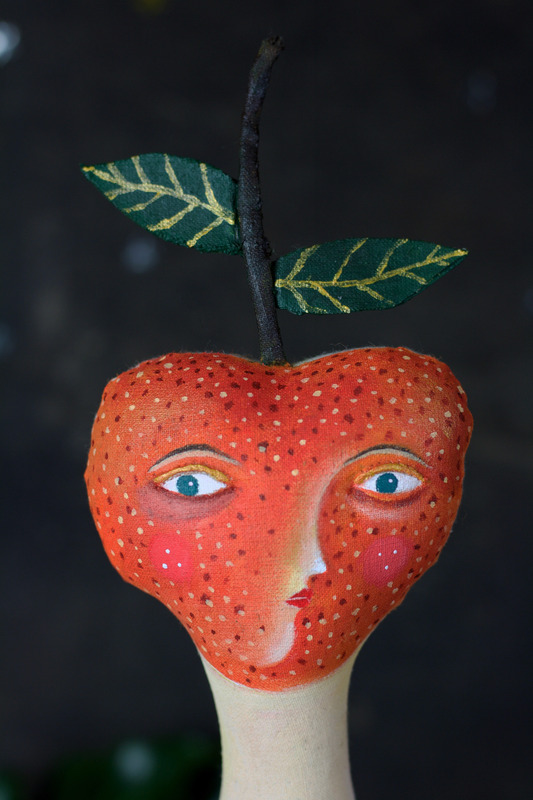 Tilly is a handmade artdoll with a tangerine face which is hand painted. 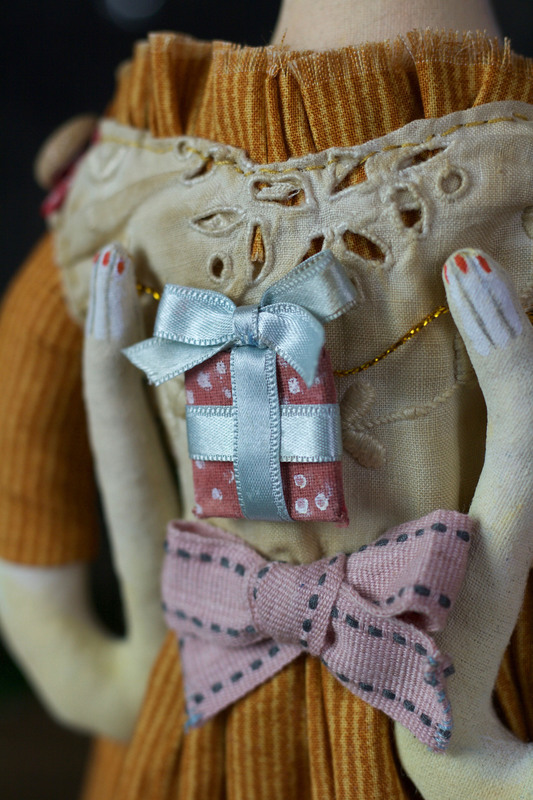 with a big dusty pink bow around her waist. She brings to the Christmas Party a little gift wrapped with silk bow. 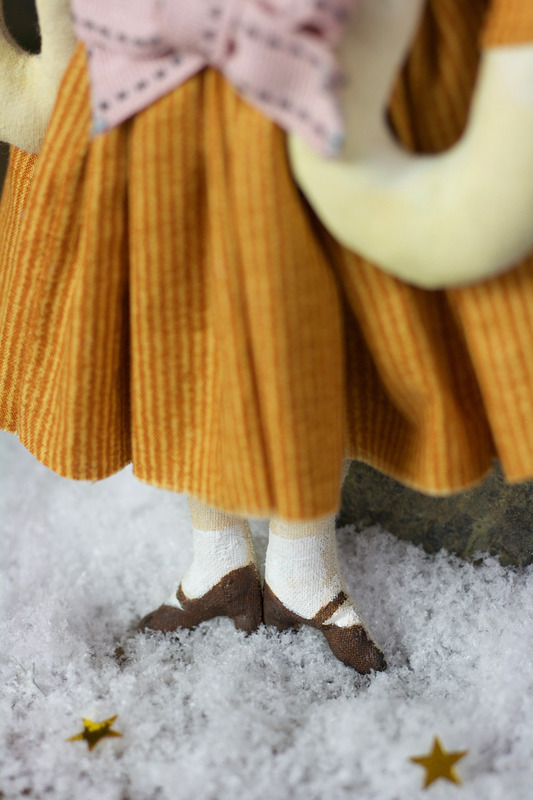 The doll can stand when supported or hang from the hook on her back. You are such an unique Artist. 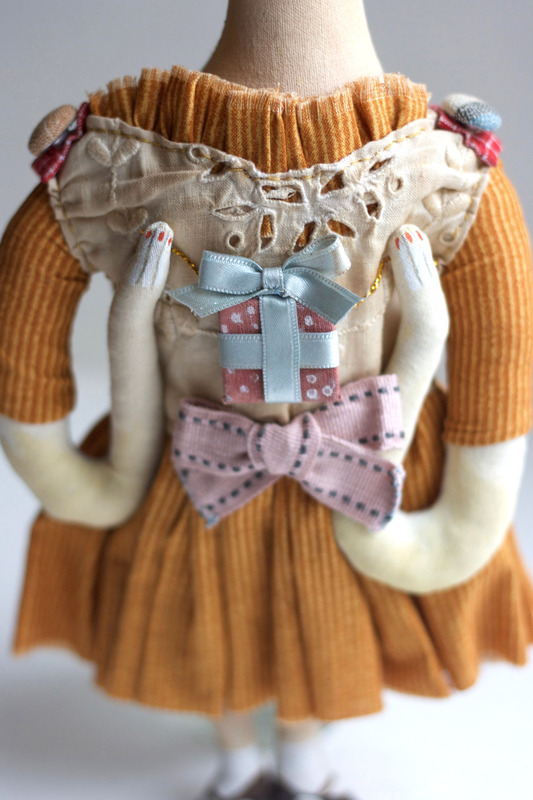 This Doll is such a spectacular piece of ART!!!! !